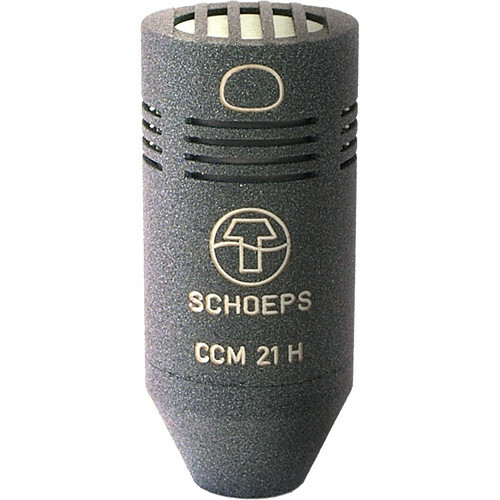 The CCM 21H LG Compact Microphone from Schoeps features a wide cardioid pattern with consistent uniform directional pickup throughout its frequency range in the microphones front hemisphere. It adds high frequency brilliance of +4 dB at 7,000 Hz to an otherwise flat frequency response of 30 Hz to 20 kHz. Developed with input from various pop musicians, the microphone is suitable for use when recording vocals, acoustic guitar, or percussion.